I love doing outdoorsy things with my dog and often it's dark before we return. 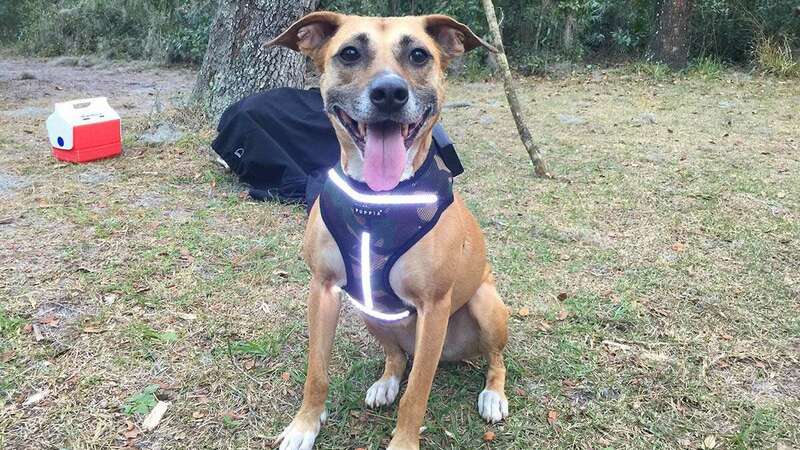 I decided to make an LED dog vest since it allows her to wander further away while still being visible. Plus, it's extremely utilitarian -- especially when camping. I can simply snap my fingers or give her a whistle and she'll run over to flood the area with light. I chose Sydney because she's awesome and is pretty much down for anything. 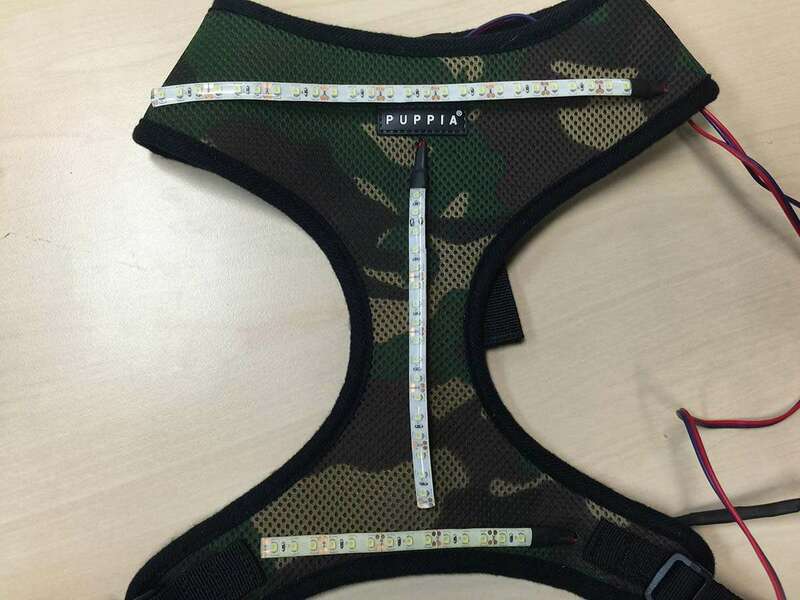 I chose a Puppia harness since it's inexpensive and its shape provides a lot of surface area on which to attach things. It's also quite padded, ensuring maximum comfort for my test pilot. Whichever vest you choose, take these into consideration. Most manufacturers provide a sizing guide to ensure that you choose the right size for your dog. Sydney is about 45lb and the XL fits her perfectly. We're going to arrange the LED strips in an "I" formation on the underside of the harness. This will maximize downward light output while keeping the LEDs from blinding you (or your dog!) The vest isn't very useful if nobody can see. 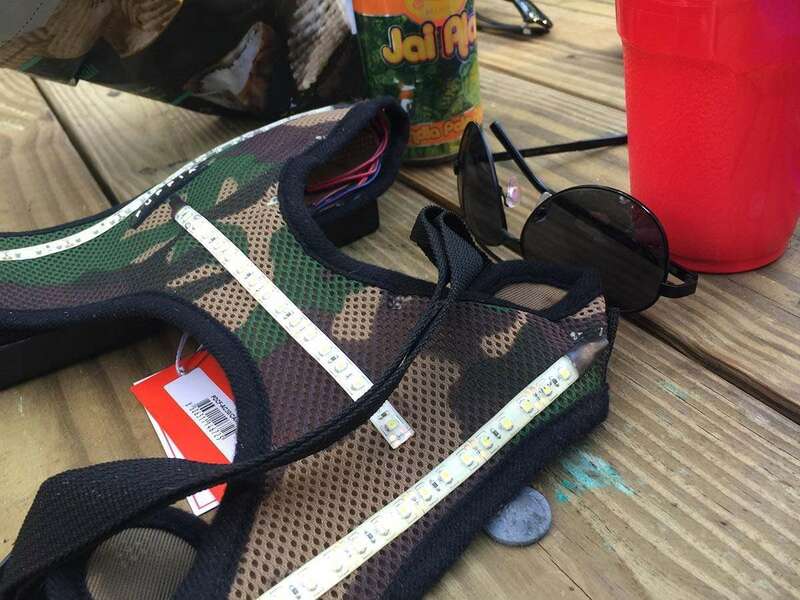 Lay your harness on the table and determine how long each strip will be. Leave a bit of extra space at the end of each strip so that there will be room to route your wires. I took this photo after cutting the strips and soldering one of them. We'll solder them later, so don't worry about the wires in the photo for now. Using the cutting portion of your wire strippers (or a pair of scissors), cut your LED strips to size. You must cut at the point between two sets of contacts. Most strips have a cutting point in 1-inch increments to give you more length possibilities. Heat up your soldering iron. Then, using your box cutter, carefully remove the clear rubber coating on one end of each strip to expose the metal contacts beneath. Cut three 18" lengths of red wire and three 18" lengths of black wire (or whatever other color you have). We're going to leave excess wire so that it can be trimmed later when all our connections are finished. We'll be routing the wire along the length of the harness, and it's better to have too much than too little. Strip the ends of each wire and solder a red wire and a black wire to each of the two contacts we exposed in the previous step. Polarity matters here, so be sure to solder all the connections in the same order (red on the left, black on the right). Holding the soldering iron on the contacts for too long can damage the components on the LED strip. If you mess up, don't worry! 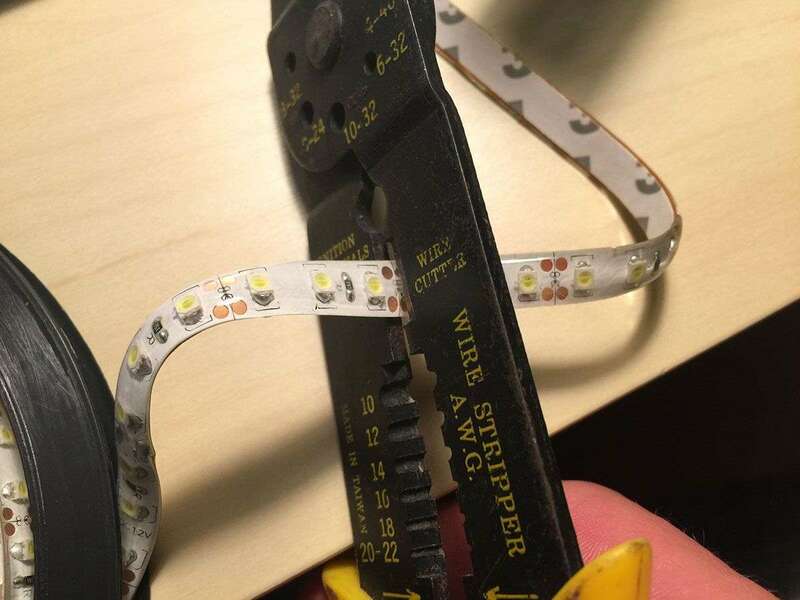 These LED strips are very inexpensive so you have lots of chances to get it right. Cut a few short sections of heat-shrink tubing. You want the tubing to fit tightly over the LED strip -- 3/16" diameter tubing should do it. This will help to keep your soldered points connected when your furry friend is bounding through the woods. 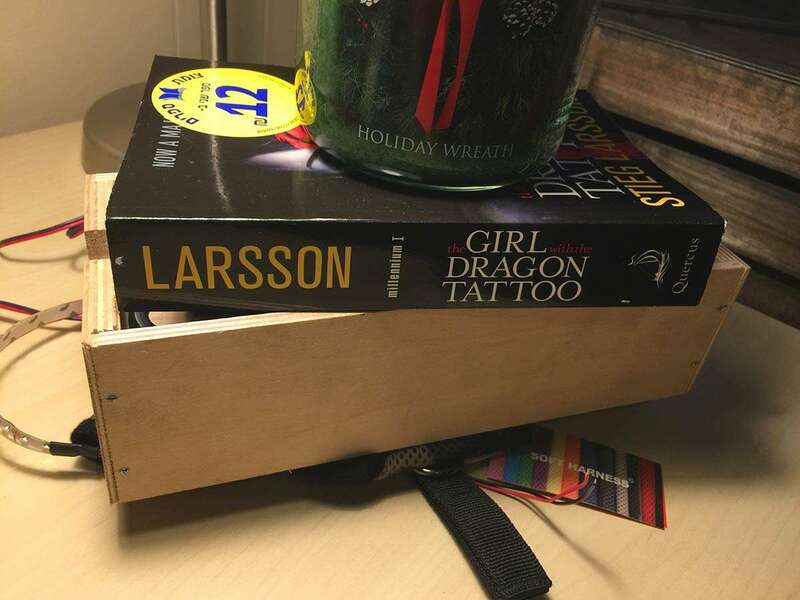 Slip the shrink wrap over each connection and use a lighter to shrink it into place. Don't hold the lighter too close to the shrink wrap or you may damage your wiring and insulation. A bit of patience goes a long way here. 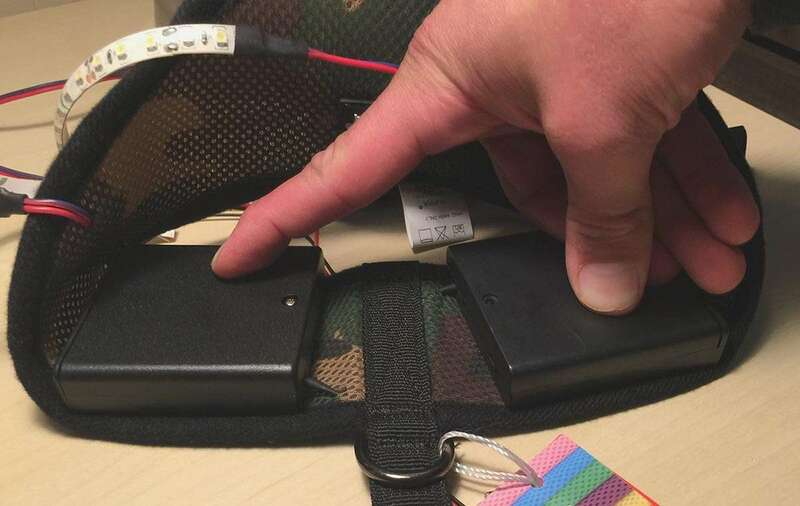 Since these LED strips will be permanently affixed to the harness, you'll want to test them prior to gluing to ensure that they aren't damaged. 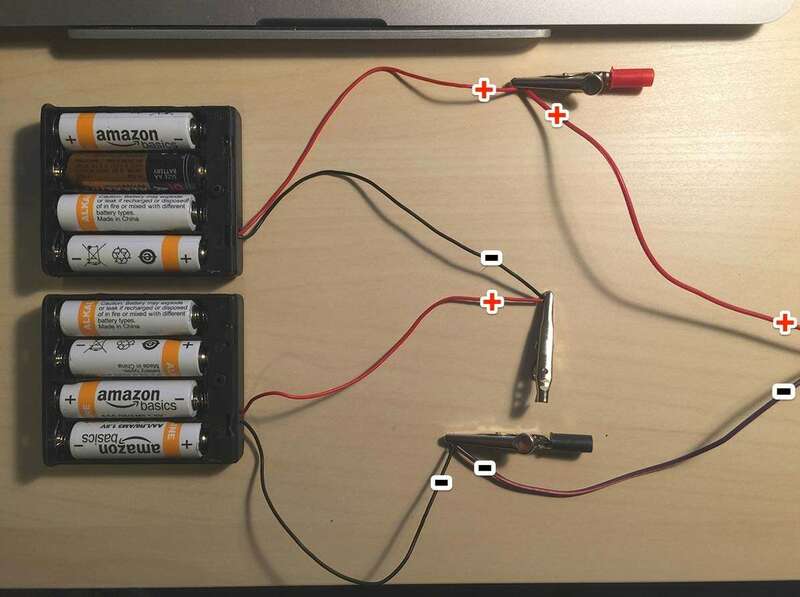 To test them, wire your batteries in series and connect each strip, one at a time, to the now-12V power source. 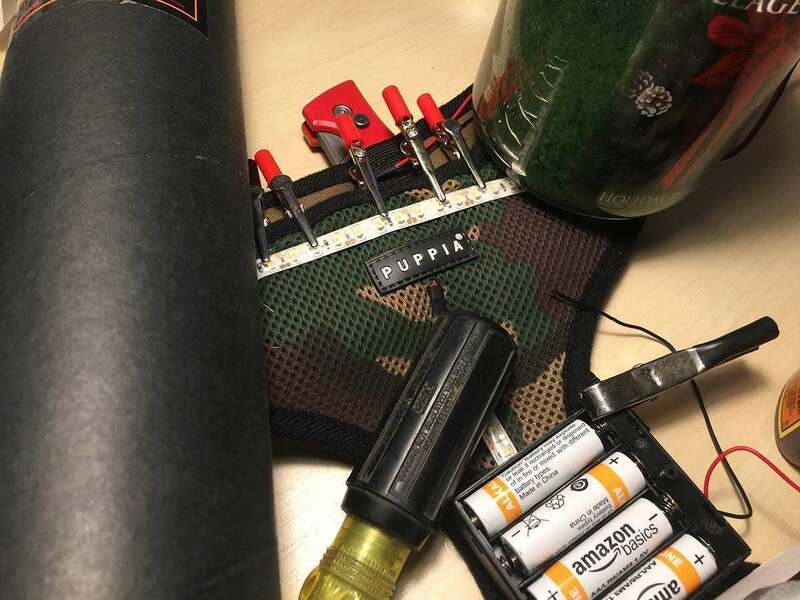 To connect your battery packs in series, connect the black wire from one pack to the red wire from the other. 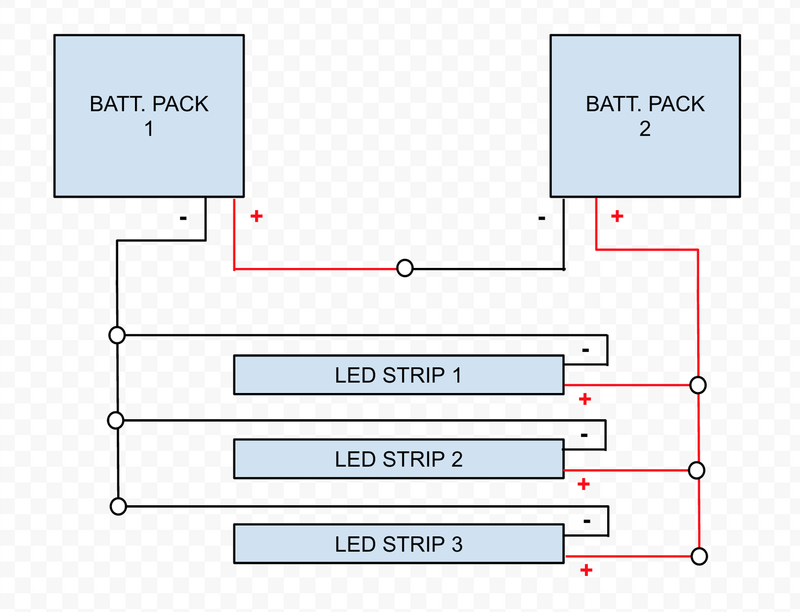 Then, connect the remaining red wire to the LED strip's red wire and the remaining black wire to the LED strip's black wire. Be sure that the switch on each battery pack is ON. If your strip works, it should now be lit! If not, remove the shrink wrap and inspect your connections. Connecting two 6V battery packs in SERIES gives an output of 12V. Connecting two battery packs in PARALLEL gives an output of 6V. 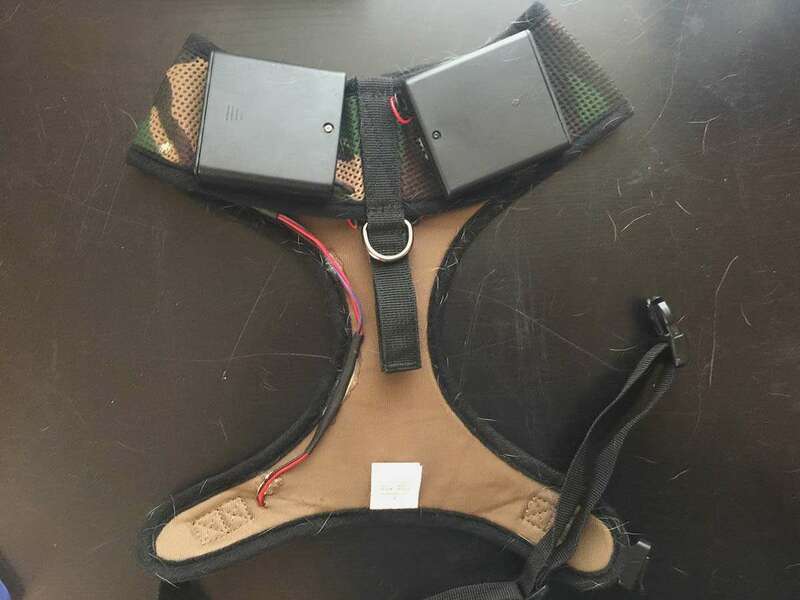 I chose to use two 6V AA battery packs for this project for two reasons: 1) Splitting the battery packs allows the load to be distributed evenly across your dog's shoulders, and 2) AA batteries are easy to recharge/replace when camping for long stretches. 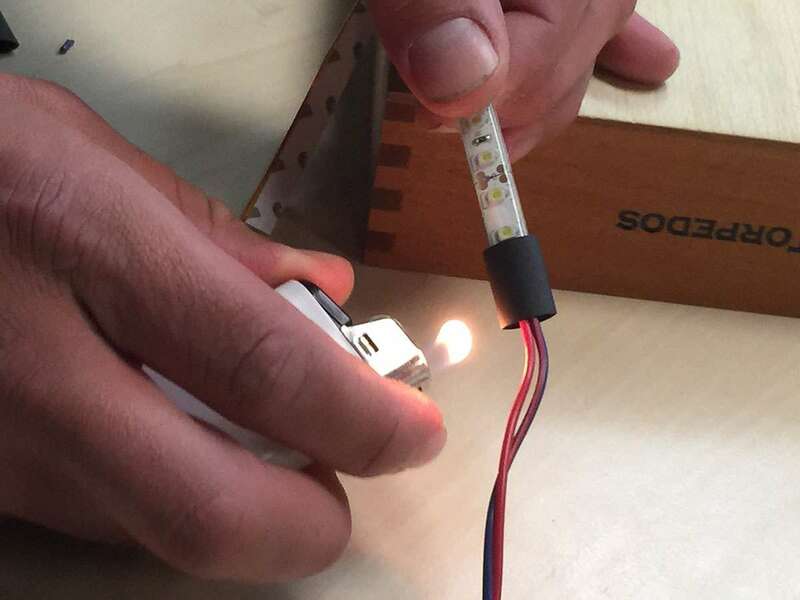 Use your lighter to heat up a small screwdriver or paperclip. Push it through at the areas approximated in the attached photo. 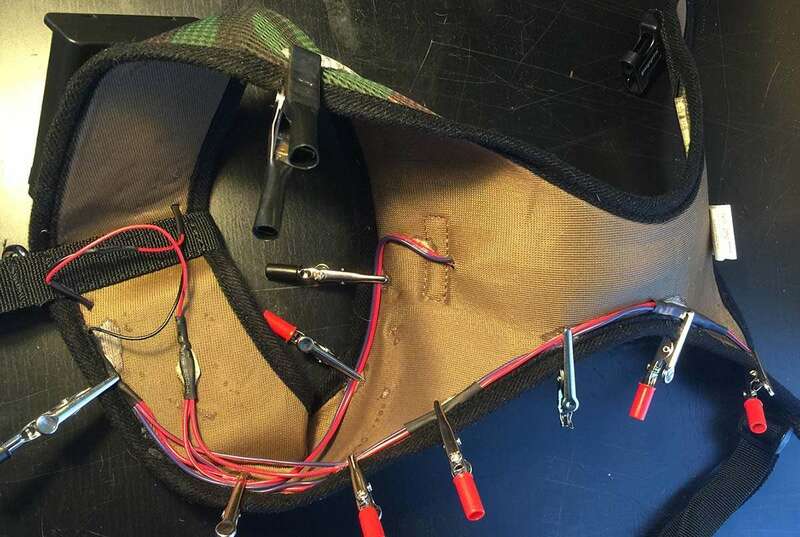 The idea here is to be able to route the wires from each strip inside of the harness so that they can't get caught on branches. Heating the paperclip or screwdriver helps to sear the holes and prevent them from ripping or fraying. 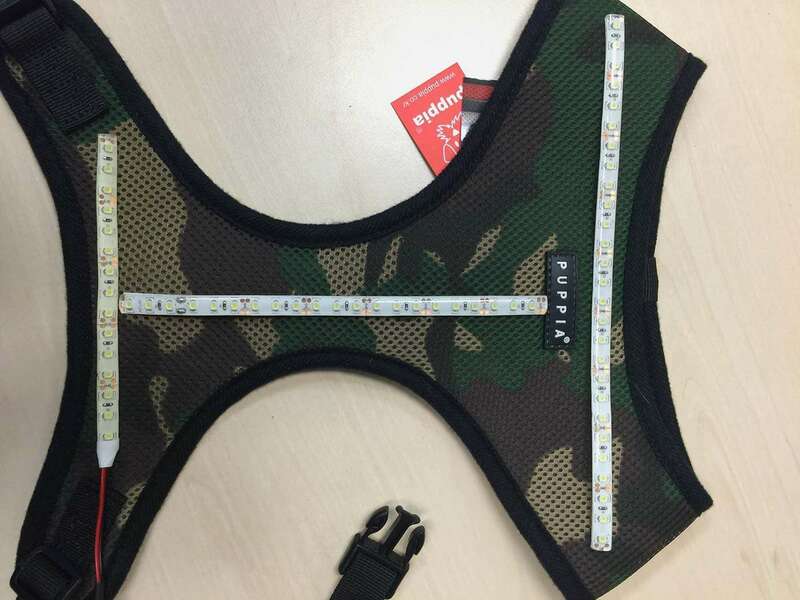 You'll need to poke three holes on the LED-side of the vest and two holes on the shoulder area (where the battery packs will go). You'll now be able to route your wires through these holes to see what the final product will look like. Slight moisture helps Gorilla Glue to better adhere. Moisten the shoulder area slightly. Cover the switch side of the batter packs with several lines of Gorilla Glue. We're going to adhere the battery packs switch-side down since the other side contains the battery door which will need to be accessible. Important: Do not get Gorilla Glue on or near the switches themselves. This is so that a) you can still access the switch, and b) so that the glue doesn't glue the switch in place. 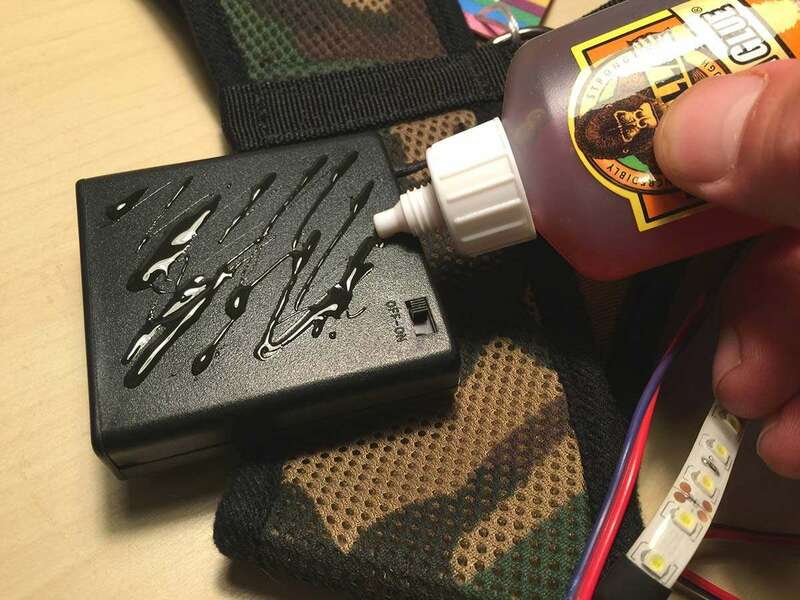 Keep in mind: Gorilla Glue expands as it cures, so don't use too much. If you get Gorilla Glue on your hands, you're gonna have a bad time. 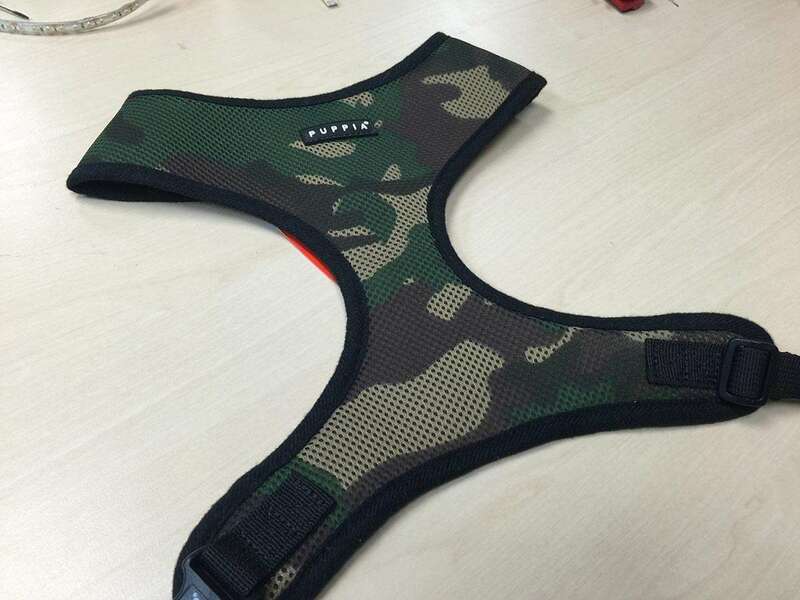 Carefully align the battery packs and press them onto the shoulder portion of the vest. Apply pressure for about 60 seconds. Use some heavy objects or clamps to hold the battery packs securely to the vest. Several hours of good pressure will allow the Gorilla Glue to harden enough to be handled. This is a given, but don't use anything TOO heavy (unless you and your dog like crushed plastic and shattered dreams). Lightly moisten the portion of the vest where you'll be adhering the LED strips Remove the plastic backing from each LED strip, apply a very small amount of Gorilla Glue, and adhere them. 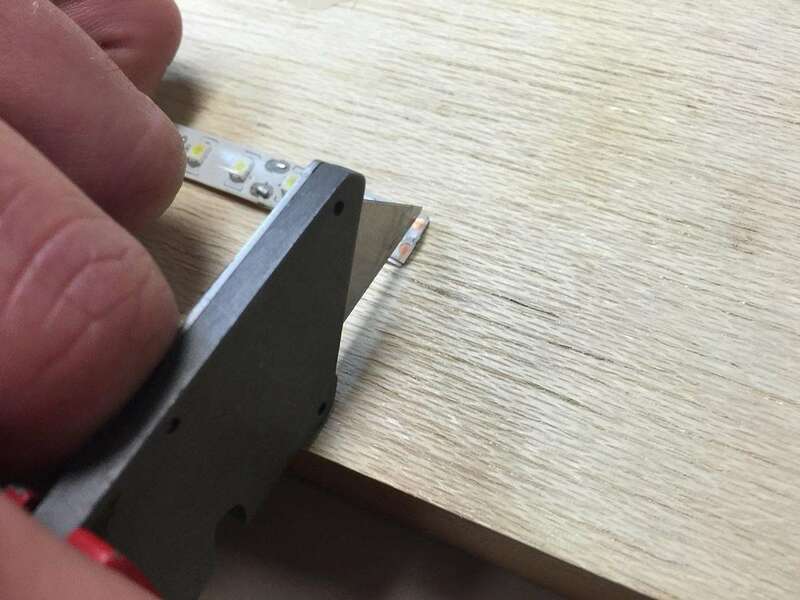 Again, using heavy objects, apply pressure to the LED strips and give them time to cure. Wait 12-24 hours at this point to allow the battery packs and LED strips to cure fully. Use the following wiring diagram to complete your soldering connections. Slide sections of shrink wrap onto the wires prior to soldering them so that you can use said shrink wrap to weatherproof and secure your connections. Using small dabs of Gorilla Glue (or a needle and thread), secure the internal wires. Needle and thread is preferable if available. Optional: If you have a needle and thread available, now's a good time to give your LED strips a bit of extra security -- feel free to wrap the ends of your LED strips for extra protection. This is optional but recommended. Lure your test pilot back with dreams of treats, fame, and fortune. 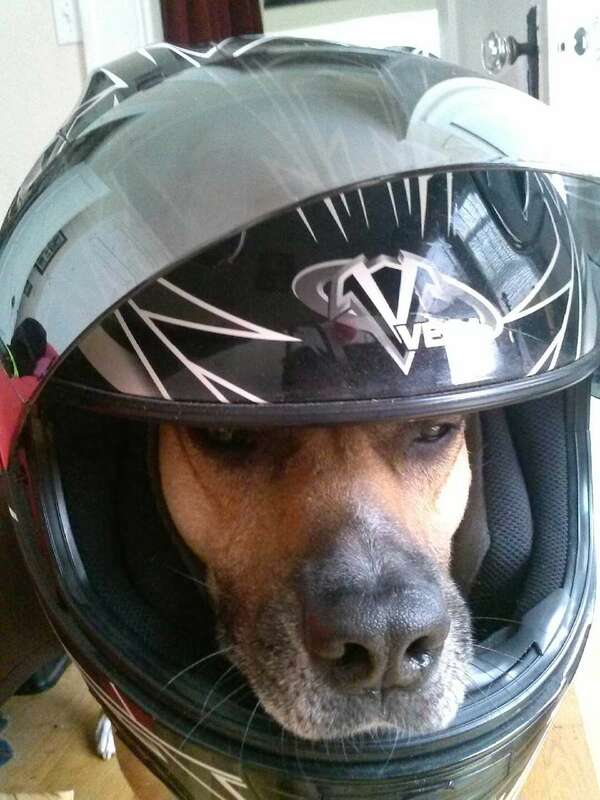 Adjust the vest's straps for maximum comfort, and blast off! Here's a short video I shot in my back yard; I'll upload a longer one the next time we're on an outdoor adventure. Questions? Leave me a comment below and I'll get back to you! Vibram Five Finger shoes are awesome for running, hiking, and looking weird around town. Unfortunately, toe shoes start to smell if you don't wear socks with them every time you wear them. Your hands are dirty. In fact, the CDC has some very interesting statistics about just what ends up on your hands and why that matters (read: lots and lots of poop).